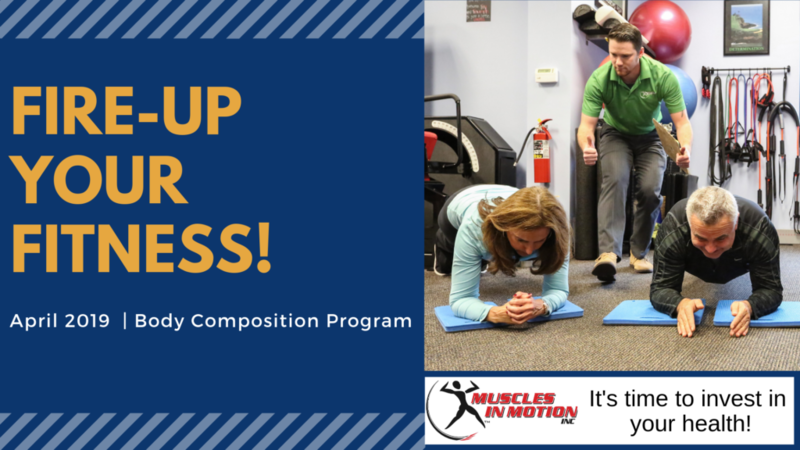 Put the information from the Fire-Up Your Nutrition class (February) and Fire-Up Your Knowledge seminar (March) to the test with our Fire-Up Your Fitness Body Composition Program! Bring focus to your strength and cardio workouts and track your progress with the InBody 520. The goal of the Body Composition Program is to challenge ourselves to improve our body composition and quantify our progress in an intelligent manner; rather than weighing oneself on a scale (which doesn’t measure fat loss, just weight loss). Increase lean muscle and lose significant body fat in the Body Comp Program.